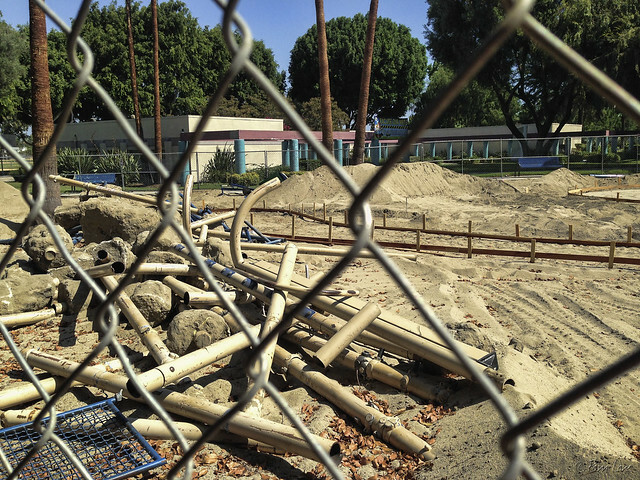 Park improvement seems to be contagious in Downey. It's not just the Brookshire Children's Park that's getting a facelift, as Steve showed yesterday. 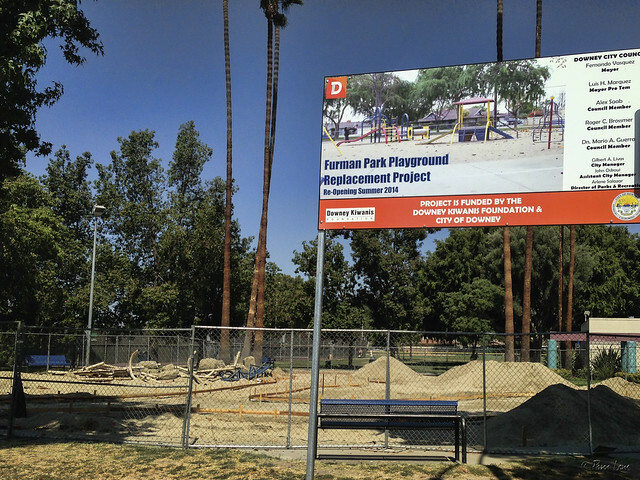 The two children's playgrounds at Furman Park are also being completely redesigned with a space theme to complement Downey's space heritage. This is the first update since 1990. The new playgrounds are being funded partially by the Kiwanis Foundation, which funds projects that benefit the youth of the community. Yep, you gotta wonder about the timing!